Home ownership means a lot of things. Buying, selling, maintenance, HOA fees, and mortgage payments are all part of the normal process, but the day does come you get to settle in. However, do you enjoy your space in peace? It might take an additional home improvement project to feel comfortable in your home, and installing security and privacy shutters might just be that one upgrade that takes your home from a good place to be to really be able to shut out the world. Keep reading to learn five advantages of adding these to your home’s exterior. 1) You can keep the prying eyes of the world out of particular rooms. You might have children having a sleepover in the living room or just a stack of tempting presents under the Christmas tree. It might even just be that you and your romantic partner want some true privacy in your bedroom. Whatever the case might be, security and privacy shutters can keep anyone outside the home from seeing into any room you want to block off for a short period. 2) Someone working graveyard shift might need the dark. In an economy where jobs are not as plentiful as they should be, some folks have to resort to working overnight to make ends meet or help with the bills. Daytime sleeping is a lot easier to do in the right circumstances. 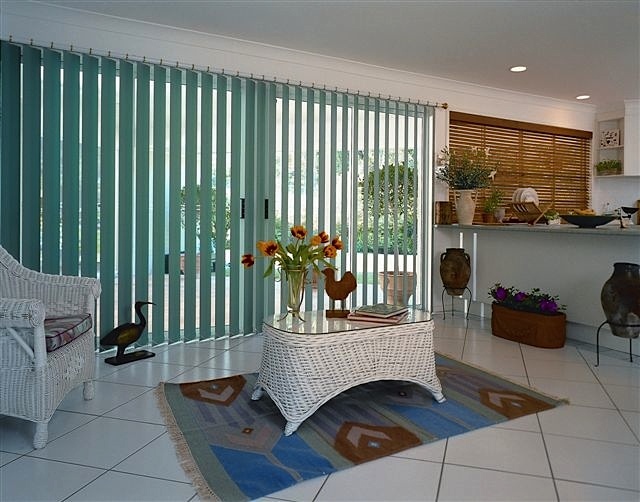 Closing curtains or blinds is one step, but shutters take it further. They blank out more of the light, as even ambient sunlight through drapes can keep a person up. On top of that, they keep the room cooler and block out more noise than just fabric. 3) You make the home harder to access during a vacation or trip out of town. Even with a good home security system, if someone knows you are out of town, they could smash through a window, grab something in your home, and get out of there long before even a monitored service could have law enforcement on the way. Shuttering your ground floor windows makes this a lot harder to do, to the point that getting in physically would make too much noise and attract the attention of neighbors. 4) You make the home harder to get hurt in a storm. If you live in an area that is prone to or at least at risk of extreme weather like tornadoes, typhoons, or hurricanes, then security and privacy shutters installed mean that you can make it much harder for mother nature to blow something so hard into one of your windows that they get smashed open. While nature is indomitable when it chooses to be, you can certainly minimize your risks. 5) You might get a discount on your homeowner’s or mortgage insurance. Safety and security features often bring down your premium a little, but it does depend on your specific policy and carrier. Now that you have read this article, you know five reasons why installing security and privacy shutters on your home is a great idea.